Born in La Paz, Bolivia in 1935, Graciela Rodo prepared for two careers; music and painting. Graciela Redo Boulanger was immersed in music and art at an early age. When she was only 11, she joined the studio of Rimsa, a Bolivian artist for tutorage. 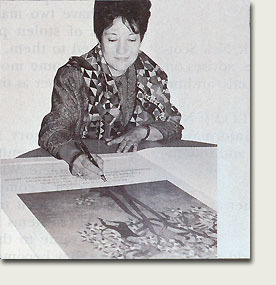 At 15 she attended the National Conservatory of Music and the Academy of Art in Chile.The first exhibition of her paintings was held in Potosi, Bolivia, in 1951.